I love dining out as much as (and probably more than) the next person. But the big massive joke about normal dining is that once you finish the meal, that’s the end. Regardless of if you’re still hungry, or if you suddenly wish you’d ordered a different meal. It’s all over. This is where the all-you-can-eat buffet steps in. 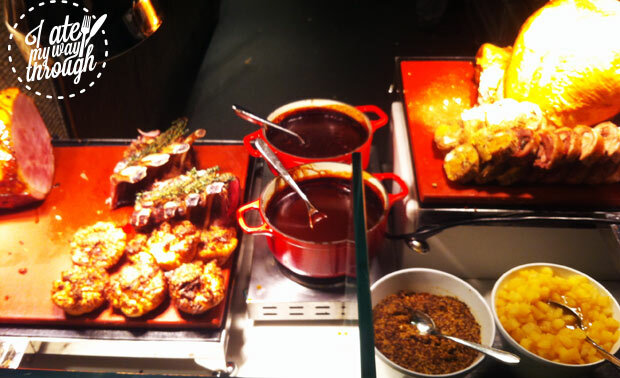 But not all buffets are trustworthy, some of them are as fraudulently attractive as a teenage girl’s Facebook pictures. Instead of delivering the bountiful hedonistic experience you expect, they dish up dry stodgy fare with a side of flavourlessness and a sprinkle of food poisoning. But this evil-type buffet is altogether avoidable if you follow the guide I have selflessly researched through many weeks of eating my way through Sydney’s buffets. 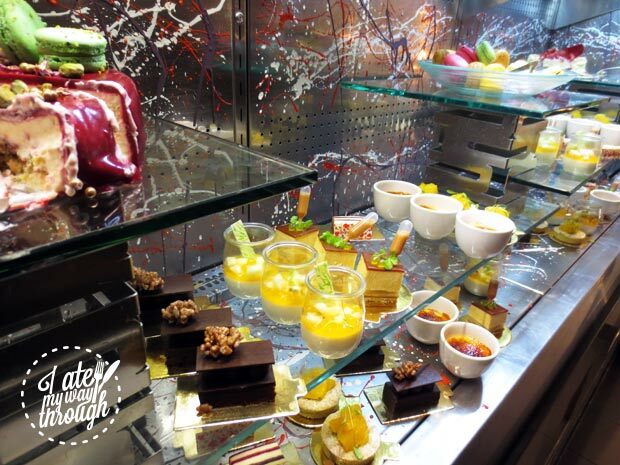 Best Feature – The desserts. Despite my inferior stomach capacity I would seriously consider paying the $75 just to pig out on the desserts. 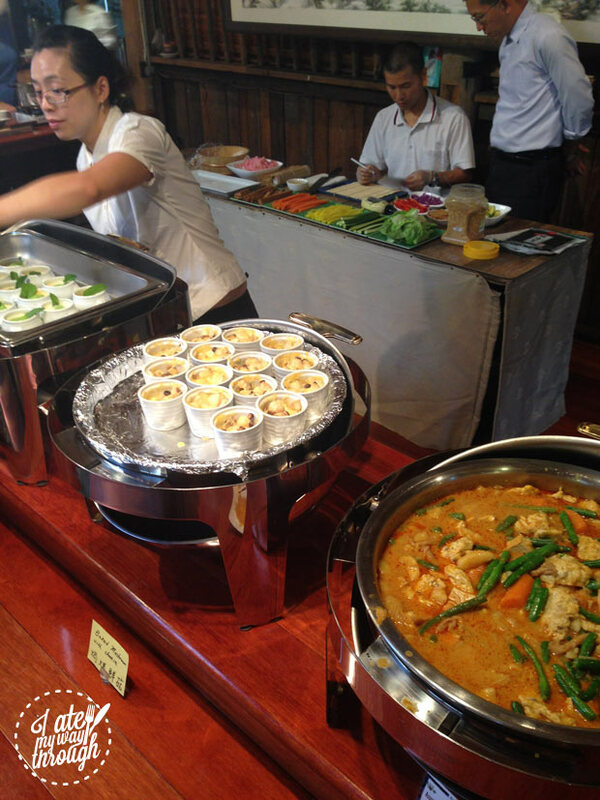 Worst Feature – Some of the hot dishes were average. 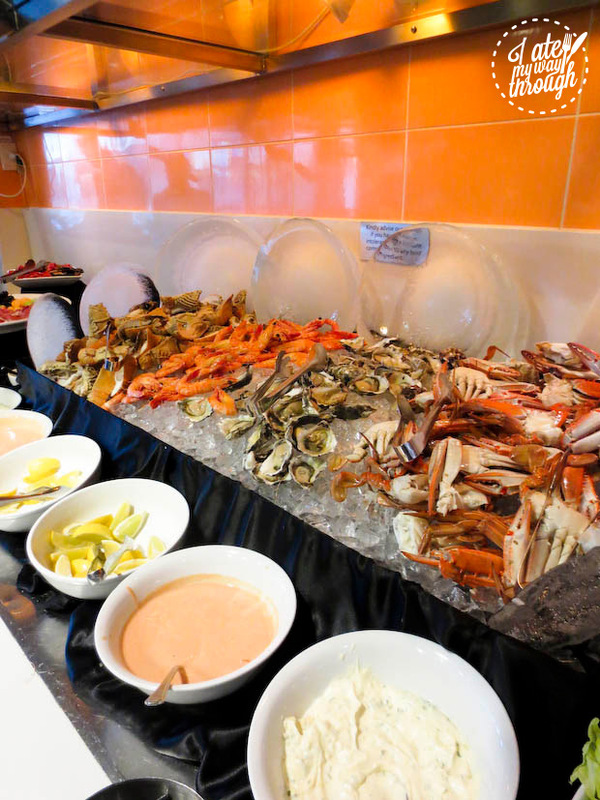 The seafood buffet at the Shangri-La runs on Friday and Saturday nights and costs $75 per head. $75 per person certainly ain’t cheap, but the quality at Café Mix fairly reflects the price. The seafood is fresh, bountiful and varied, with the chef clearly taking pride in sourcing the best local produce. 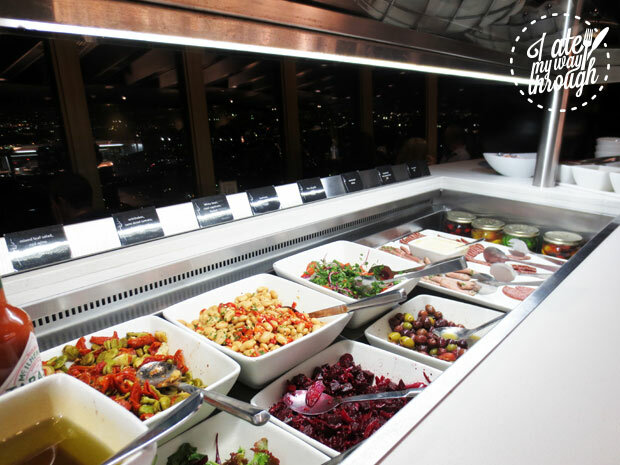 The salad buffet was actually one of my favourite parts, boasting a variety of outrageously fresh high quality Asian salads. The hot buffet was a bit hit and miss, many dishes were flawless while a few, such as the meatballs, pakoras and pasta were average but not inedible. However it was the dessert that absolutely blew my mind. Each individually portioned dessert was fine dining quality showing amazing attention to detail. There were countless artisan cakes and sweets in addition to a made-to-order crepe station, macarons, cheeses, white and dark chocolate fondue fountains and even a fairy floss maker. 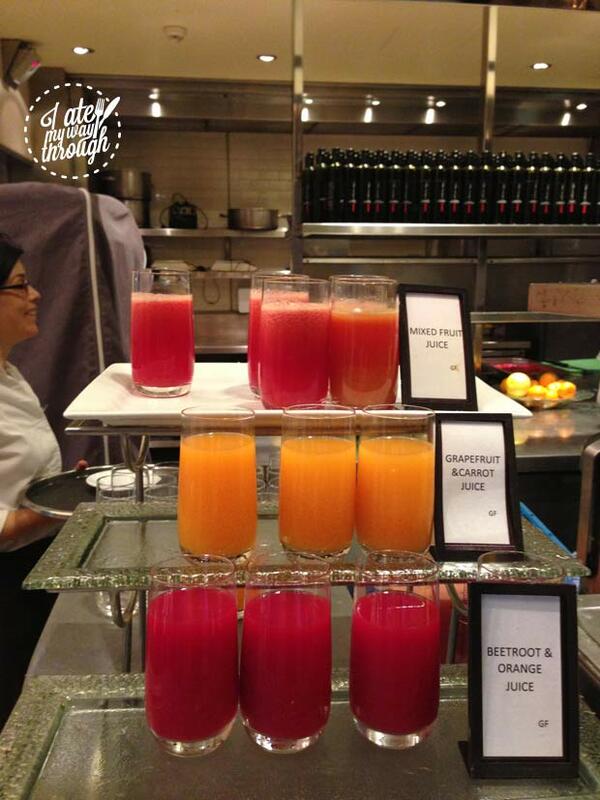 I’ve seen quite a few reviews complaining about the variety at this buffet and I don’t really understand why. The selection was extensive, even without the massive variety of seafood. There were about 15 hot dishes in addition to 12 salads, sushi and soup, a mountain of seafood and the much loved desserts. We came at 7pm on a Saturday night and there was no crowded/competitive vibe whatsoever. There was no need to elbow people out of the way or race for the last oyster as the food was well stocked and the room was not overcrowded. Unfortunately for me, my stomach capacity is not all that I could hope for, so even after my best efforts I didn’t really feel like I had consumed $75 of food. However for those with more stamina or a particular love for seafood and/or dessert I would say this buffet is quite reasonable value. The staff were all professional, friendly and attentive, with nary a disinterested gum snapping teen in sight. 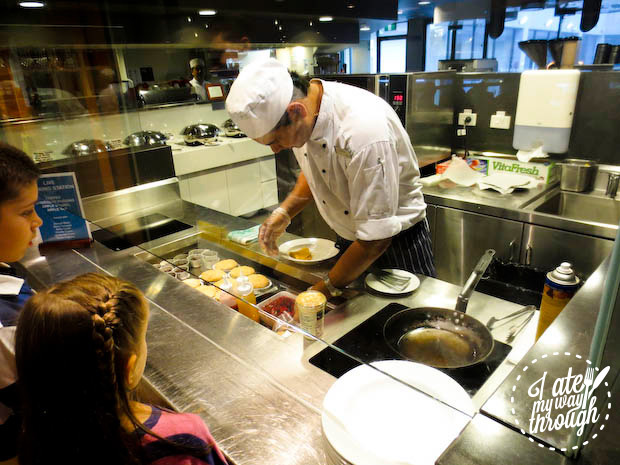 Avoid the city parking nuisance and head west to ParkRoyal Parramatta on a Saturday night for their seafood buffet ($65/person) which includes free parking! 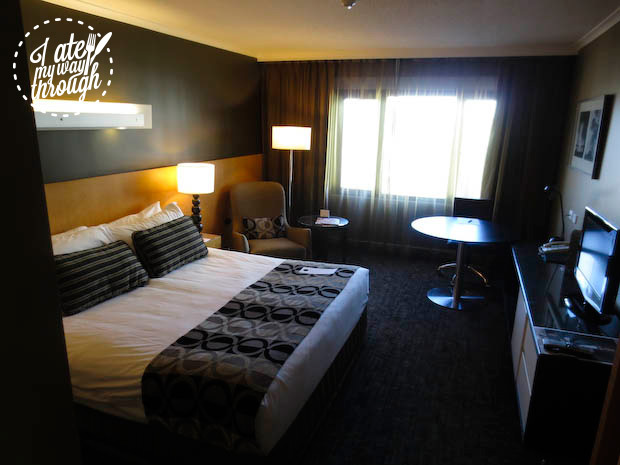 If you’re preempting a food coma, you’ll be delighted to know that their rooms upstairs are newly renovated, making the hotel an affordable luxe option for a ‘tourist in your own city’ type weekend getaway. I was extremely surprised with the quality of the hot dishes, from the pan-fried snapper with seared baby tomatoes, capers and lemon cream sauce, to the slow cooked beef scotch fillet with wild mushrooms and red wine jus. The seafood was undoubtedly fresh and I probably ate my weight’s worth of proscuitto and melon. 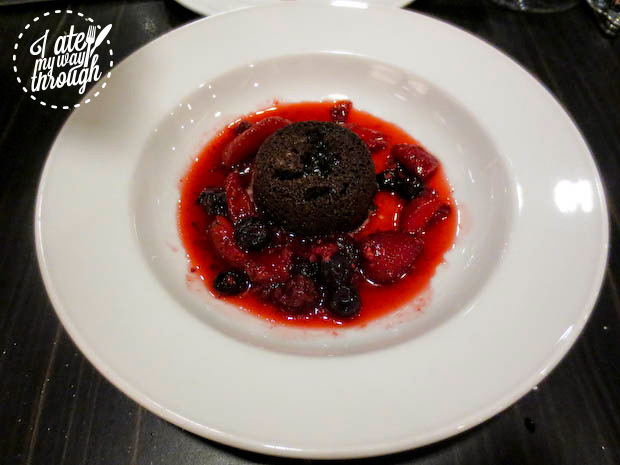 The salads were slightly underwhelming, as were the desserts on display – with that said, the freshly baked dessert station was a winner with molten chocolate cakes, crepes and strudels baked to order. The variety was limited but they make up for it in quality. Quality over quantity is the motto here. While they were full to capacity on seats, we never actually had to queue for food. 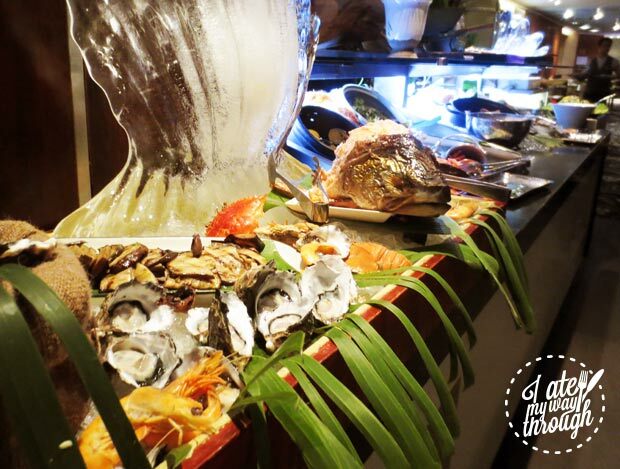 Some diners take the seafood buffet quite seriously here, which can be a good thing, because the service was really on top of it, with the selection of prawns, oysters, blue swimmer crab and balmain bugs were replenished quickly and frequently. Celebrity chef Luke Mangan’s Glass Brasserie breakfast buffet is one of the most glamorous breakfast venues our founding editor Jen, talks of – it was even her choice of hotel on her wedding night (and first breakfast as a married couple)! The soaring ceiling maximises every view of the Queen Victoria Building and the quality of absolutely every dish is impeccable. This is fine dining at breakfast. It’s premium produce all the way! Glass goes above and beyond a DIY big breakfast (although it does come with all the trimmings!). 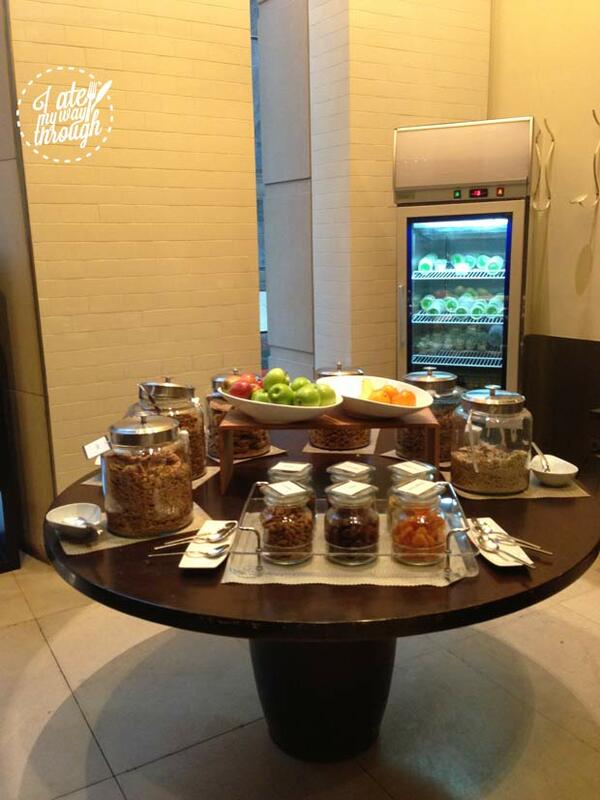 Think congee, pretzels, Beachwood house smoked salmon, juice shots, and much much more! The quality is superb, you could easily spend hours here. Tables are well spaced from each other and the crowd does keep it a classy affair with minimal queues. Service is excellent – you wouldn’t expect anything less at Hilton. Worst Feature: The line-up for dessert! I would highly recommend this buffet for anyone sightseeing in Sydney on a weekday. 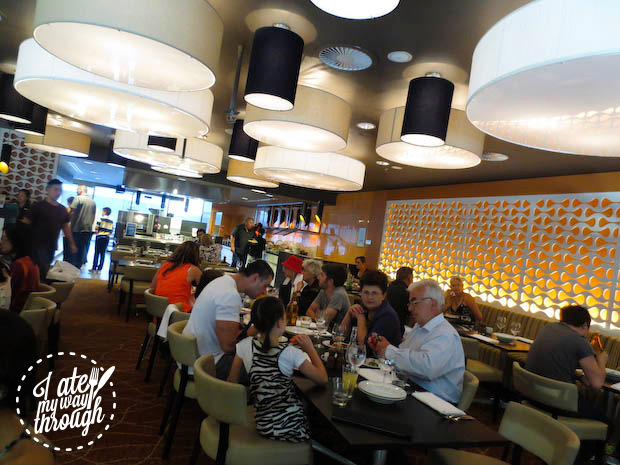 It’s the perfect place to take visiting relatives, as you can eat some authentic Australian cuisine with a beautiful view for just $55 during weekday lunches. The dishes here certainly look and sound impressive and appear to use high quality ingredients, even incorporating some native Australian meats like crocodile. However I strongly advise taking little tasters of each dish before committing to a whole spoonful on your plate because some of the dishes just didn’t live up to my expectations. 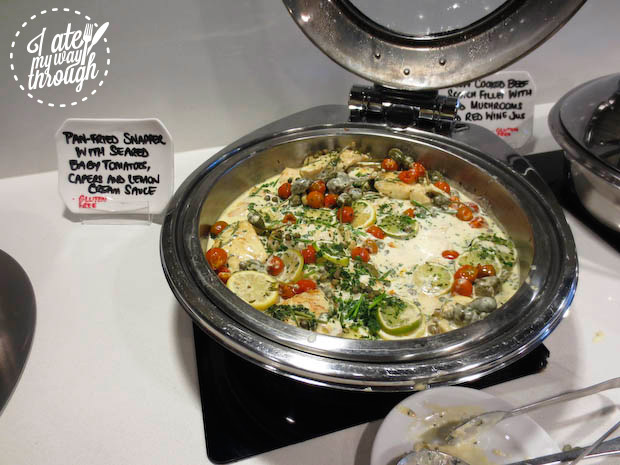 My favourite part of this buffet was actually the house-made hummus and babaganoush. While some of the dishes were underwhelming, there was an amazing variety, meaning that it was certainly possible to find something to suit every palate. The food was predominately modern Australian but also included Asian, Italian and Middle Eastern elements. The variety meant that this was an exciting buffet to sit down to and viewing all the dishes created plenty of anticipation. We visited on a Wednesday night and the restaurant was packed; there were a few very large groups which gave a bit of a chaotic vibe. 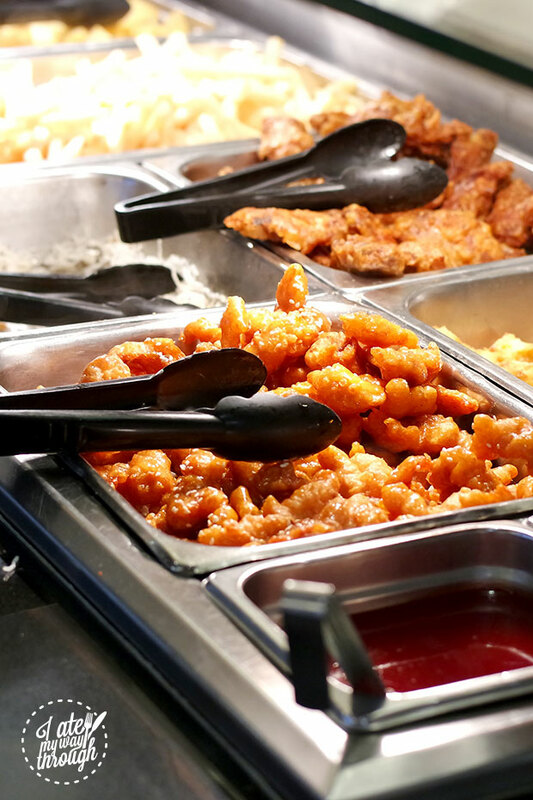 The buffet is clearly prepared to deal with large numbers, so each station is repeated twice to avoid lines. All except the dessert station unfortunately, at almost every moment throughout the evening there was a line up for dessert. This buffet is quite pricey and I would definitely recommend going on a weeknight for $69.50 rather than a whopping $85 on a weekend night. Although the variety and the view are amazing, I don’t think the quality of the food is worth the $85 for a weekend night dinner. However the $55 price on a weekday is definitely value for money. The restaurant manager is the consummate host, seeming to really enjoy his job and taking customer service seriously. The wait staff seemed quite attentive at clearing plates and filling waters. 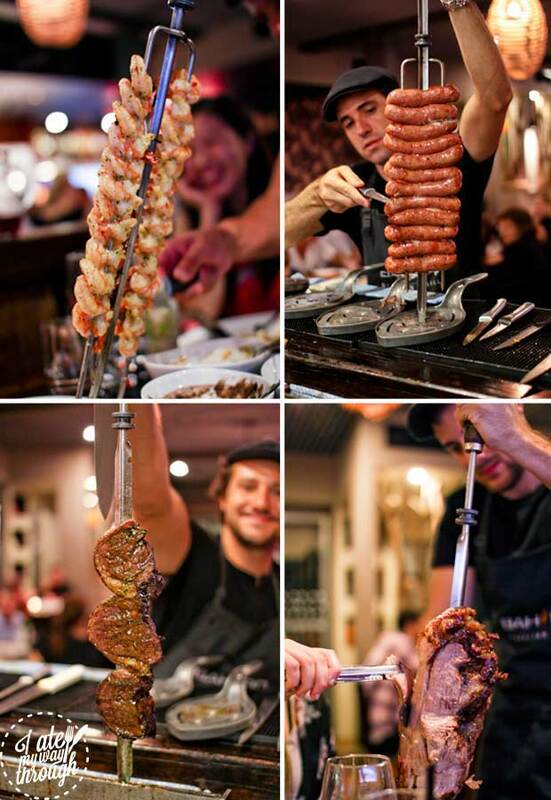 For $49, Bahbq serves all you can eat Churrasco meats at the table – endless food without even having to stand up! Check out the full review here. All the flavours are 100% spot on and there is certainly no cutting of corners in producing the large quantities of meats and sides. Unlimited delicious Brazilian meats AND ample sides for under $50 is pretty good value in my book. It’s fractionally more than what you might usually pay for a starter and main but the amazing variety and the fun of being offered endless meats more than makes up for it. The only sad part is that the price doesn’t include the desserts which are also pretty damn good. Being served all-you-can-eat has the potential to get quite awkward as nobody wants to chase the waiters around begging them for more meat. However the staff at Bahbq seem to have a sixth sense for when and where they are required and deliver flawless, friendly service. $30 for unlimited Korean sides and meat that you cook yourself at your table. The food quality isn’t terrible but it certainly isn’t outstanding. The marinades are ok, but the sides were cold and the kimbap (Korean sushi rolls) were a bit too heavy on the rice and too light on the anything-else. They have all the basics you expect at Korean BBQ, including bulgogi marinated beef and seafood options but they’re a little stingy on some of the yummier stuff like pork belly and short ribs. $30 for all you can eat meat isn’t bad value from the stuffing-your-face angle. However you could probably get a nicer meal for your $30 elsewhere. Definitely not too overcrowded and the staff did a good job at ensuring the food was always restocked. Staff were attentive and friendly, but their lack of English made communication rather problematic. Best Feature – The rotisserie style charcoal barbecue at every table. This buffet is $28.80 on weekdays and an extra $1 on weekends. 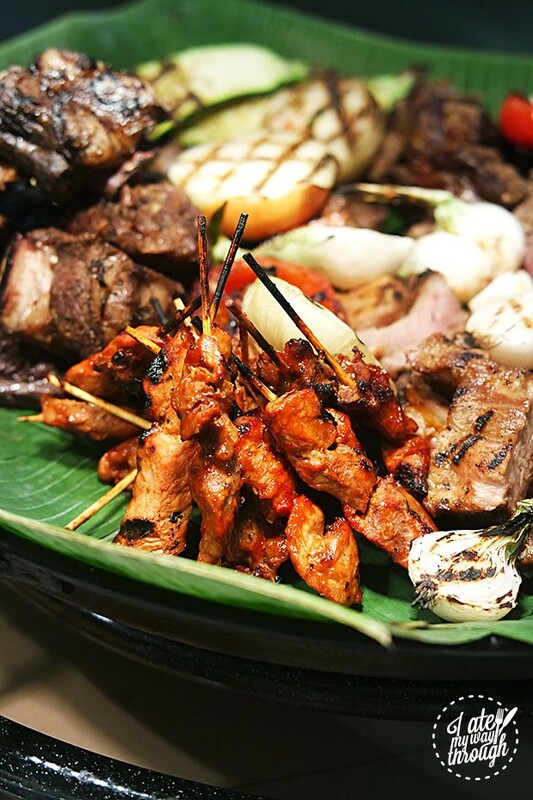 It is set up so that you choose from an array of uncooked skewers and cook them on your own personal rotisserie charcoal barbeque. The food is fresh but the marinade seems to be the same for every skewer; very peppery, with some spices and salt. The variety of meats is good but they managed to all taste basically the same thanks to the all-pervasive, unvarying marinade. More variety is provided by the pickled sides, which are delicious. We walked away full, and there’s enough variety to keep you interested for your $30. But you can get more satisfying all-you-can-eat experiences for just a little more. It can get pretty crowded at peak hour, but staff are pretty good at replenishing the food. Standards slip a little when the night gets particularly busy, but staff are pretty good at replenishing water and clearing plates. 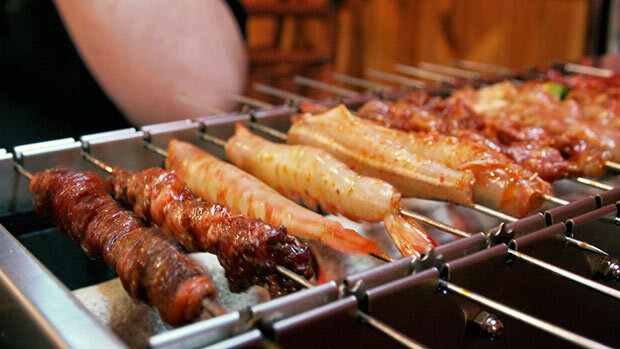 Skewers are all put into a metal can that is cleared periodically. Best Feature – You feel rejuvenated, even after a two hour eating session – it must be the Southern Highlands air! Worst Feature – A lot of dishes aren’t recognisable so you need to go into this with gusto and just commit to trying everything! It’s all vegetarian so must be good for you. This little slice of vegetarian heaven is located quite a distance from the city, tucked away in the Southern Highlands. It’s well worth the drive for a vegetarian feast of a high quality at a reasonable price. The quality and flavour of the dishes will have meat lovers questioning how the food could possibly be vegetarian.The plethora of dishes are extremely well executed, to a standard usually unattainable in buffet style dining. The variety here is insane. There are soups, sushi, stir fries, rice, dumplings, curry puffs, a whole deep fried section, a bountiful desert array and much much more. There is something to suit every taste and you certainly don’t mourn the absence of the meat as the amazing variety makes you forget it ever existed. 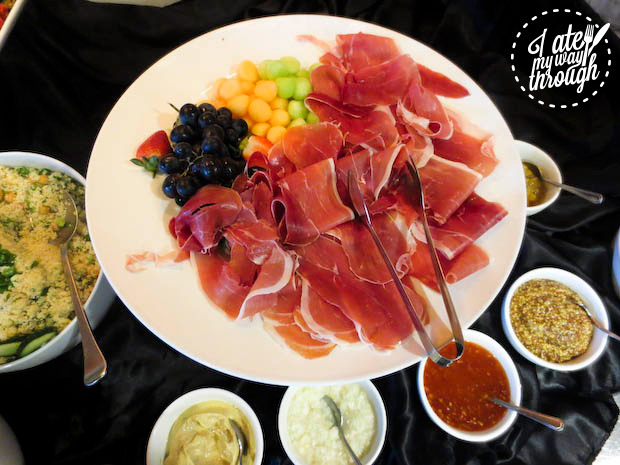 At just $31 per adult, it’s one of the cheapest buffets of the lot, but manages not to compromise on quality or variety. You leave feeling thoroughly satisfied and sufficiently exhilarated by the inherent hedonistic pleasure of a proper buffet. 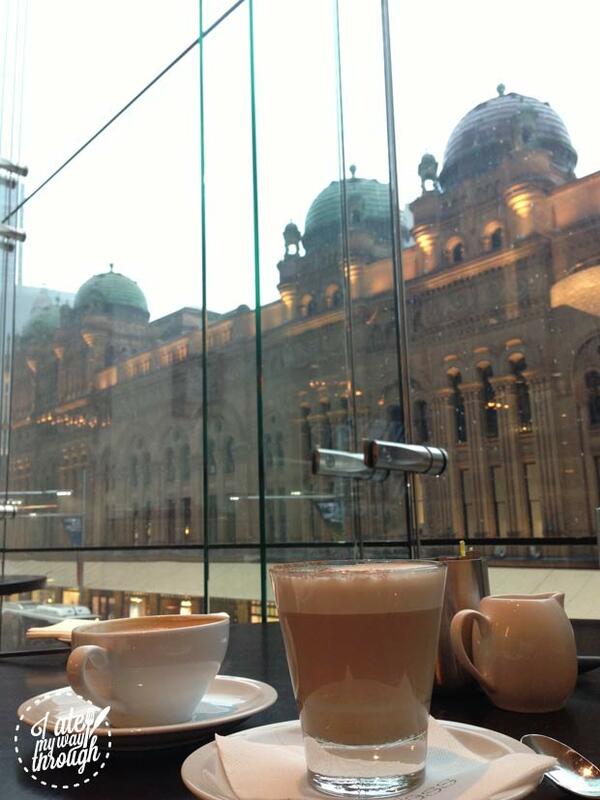 This place is certainly not located in the heart of Sydney, so its a chance to escape those crazy crowds. The extent of the buffet also means you are rarely fighting over the same dish. The service was above average, with the food being frequently replenished and the plate clearing and water filling efficient. 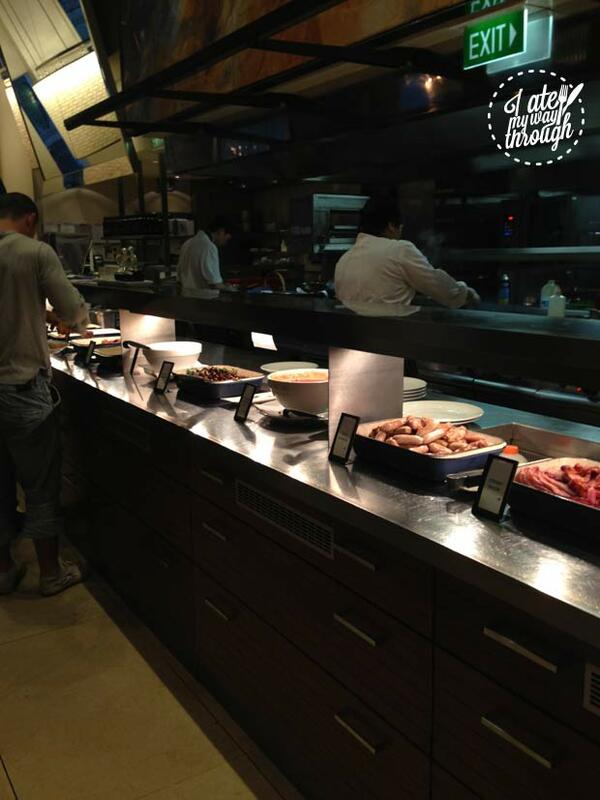 Best Feature – The décor was the nicest of all the buffets I visited and the selection of roast meats was impressive. Worst Feature – The price of the buffet and the drinks just seemed a bit too high to really feel like you were getting your money’s worth. I checked out this buffet when it was decked out in full Christmas in July decorations and it had a very warm and welcoming vibe. There was even a woman singing and playing the piano which added to the ambiance. The buffet dinner costs $85 on weeknights and $99 on weekends. 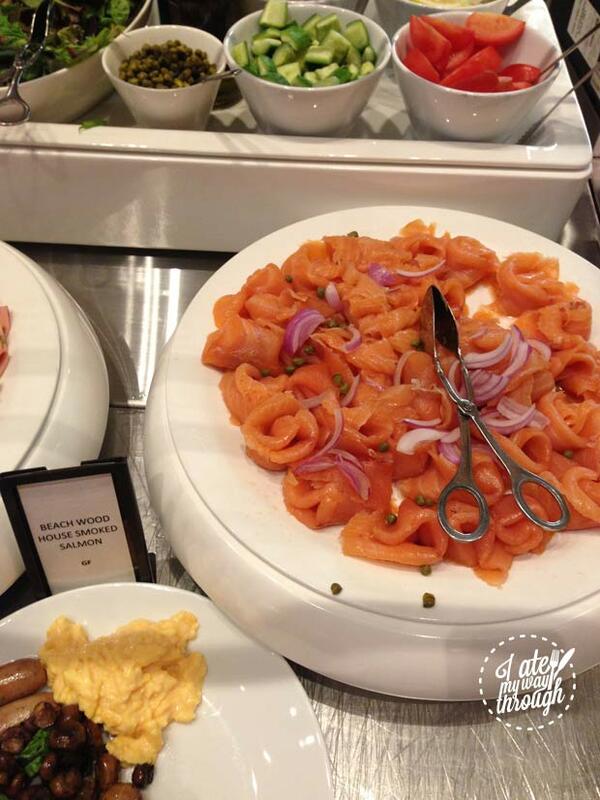 The quality of the food was pretty standard for a hotel buffet, it didn’t disappoint but it wasn’t anything extraordinary either. The seafood was fresh and the meats were flavoursome and pretty moist. Although there was a very wide selection of desserts, their standard wasn’t as high as the Shangri-La. The variety here was really good; I couldn’t even muster the stomach space to try everything. There was a massive selection of roast meats as well as the usual vegetable accompaniments, salads, seafood, pizza, soups, Asian dishes, breads, cheeses, dips, sushi, desserts, fresh fruit and more. We came mid-week at 7pm and there was certainly no lining up or battling over the last piece of roast beef. However the ambiance wasn’t great for a date night or friends’ dinner as the crowd was mainly corporate and the vibe was a bit sombre really. 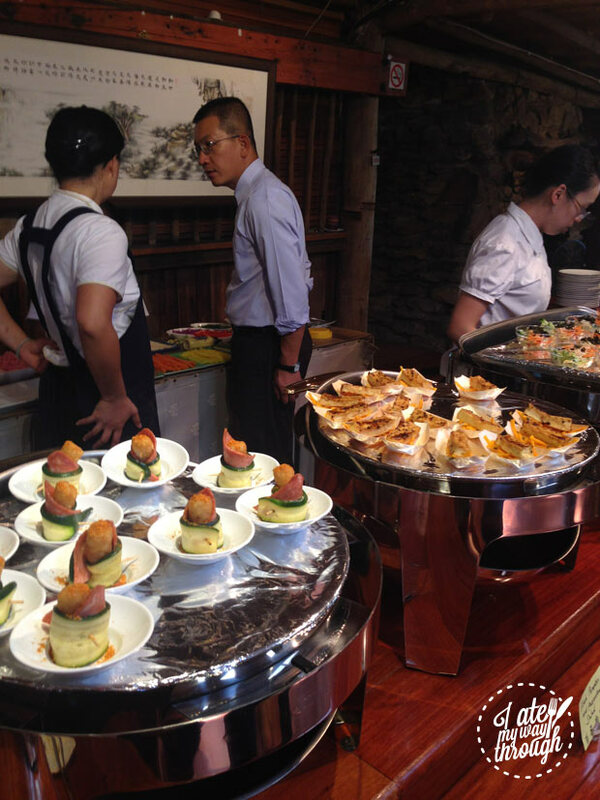 The buffet costs $99 for weekend dinner which makes it the most expensive on the list. While the selection was good, the quality was fine and the décor was nice, I do think $85 is a little more expensive than it should be. We also noticed that the drinks were very expensive, so if you’re planning to have a few drinks I’d suggest going to a bar before or after the buffet as you could end up almost doubling your bill if you down a few beers with your meal. The waiter taking care of our section was very attentive and friendly, stopping to chat with most of the diners. Plates were cleared and waters were refilled without delay. Best Feature – The speedy turnover. A great variety can be ruined by stale food that has been left in the bain marie, and the fact that I saw just the watermelon alone get refreshed 3 times within the first 15 minutes of sitting down, shows that the buffet is not being too stingy about holding back food. Also, since it’s a relatively full sitting all the way through meal service, it ensures that all the items get the turnover that it needs. 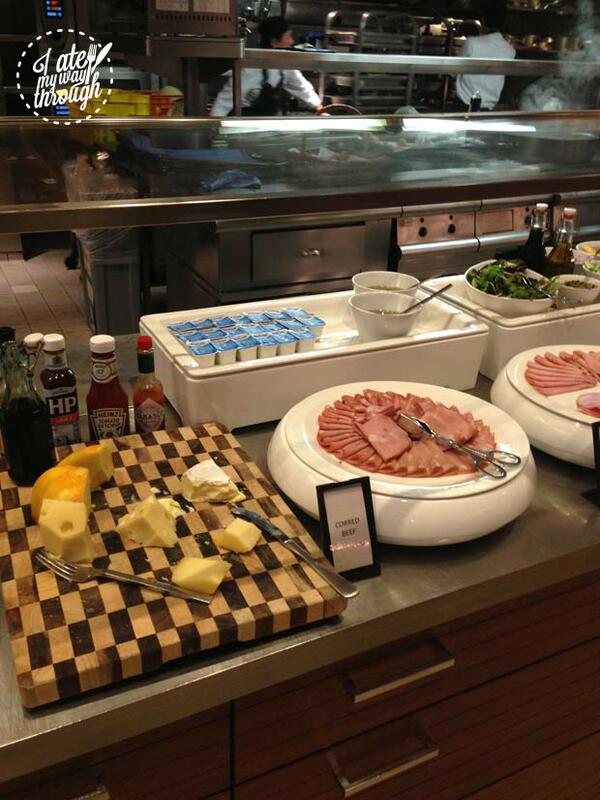 Worst Feature – The salad bar. We all know that the salad bar generally is at a buffet as a token amount of green, and I really felt like if I had to critique something, more could’ve been done with the cold section for the lunch service. Fellow contributor Tammi, visited the much talked about Bankstown Star Buffet in search of unlimited quality food at rock bottom prices. With prices ranging from $16.10 to $23.30 depending on time of day and day of the week, its pretty affordable no matter when you feel like feasting. She was very pleasantly surprised by the quality and quantity and would highly recommend it to those whose appetites are bigger than their incomes. What was meant to be fresh, was fresh, and what was meant to be crispy, was crispy. And this doesn’t just apply to the regular items. The food from Chinese barbecue section was moist, flavourful, and the crispy skinned roast pork belly still had crispy skin on every piece. 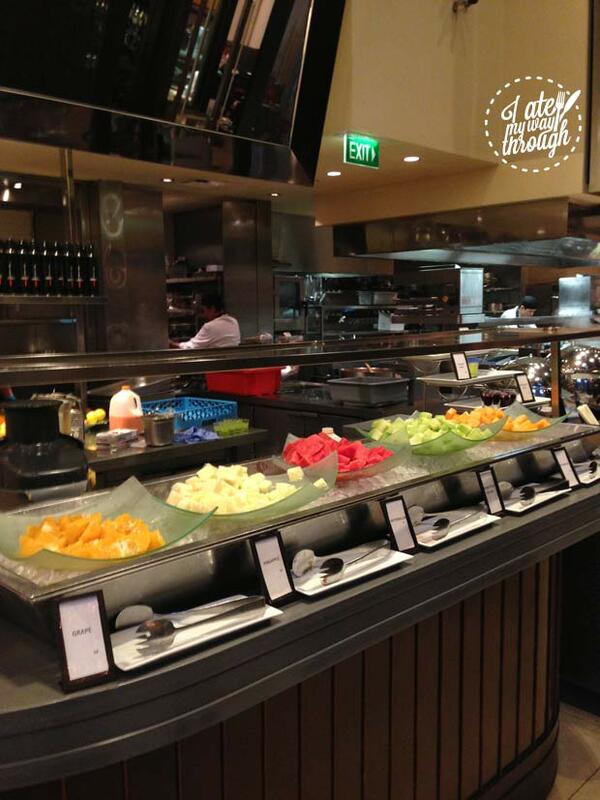 Even the run-of-the-mill stir fries that every buffet has looked to be colourful, fresh and flavourful. 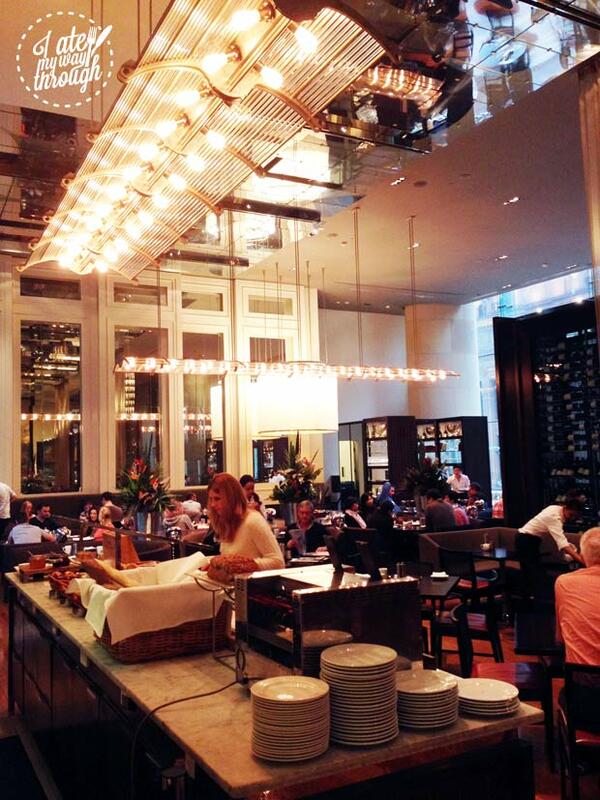 During lunch, they serve upwards of 70 types of dishes, and during dinner, up to 100. 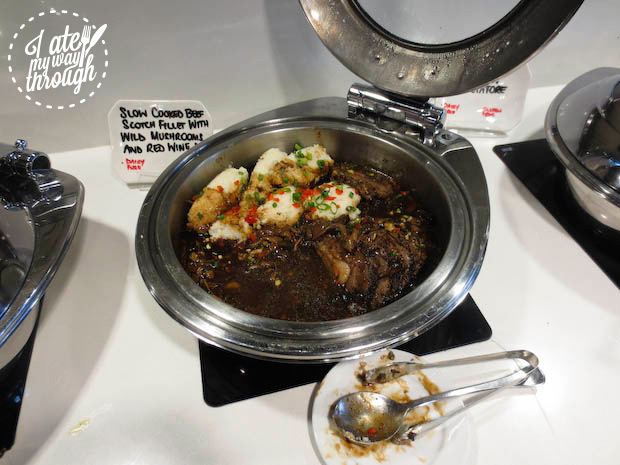 With many cuisines represented – they have a sushi train, roasted ham, chinese barbecue, Korean fried noodles, desserts – this expansive buffet really makes the effort to provide you with options to tantalise your senses. There was a LOT of people at this buffet, but there wasn’t a feeling of being over crowded at all. People took what they needed and sat back down, with everyone getting an adequate amount of personal space. It really was to the restaurant’s credit – they replenished the food so fast and readily that the people didn’t feel the need to jostle and fight for their portions. With lunch for just $16+ and dinner at $25+, this buffet provides the best bang for your buck out of any buffet I’ve been to. For dinner, they also have extra options like Alaskan crab legs and Peking duck available. 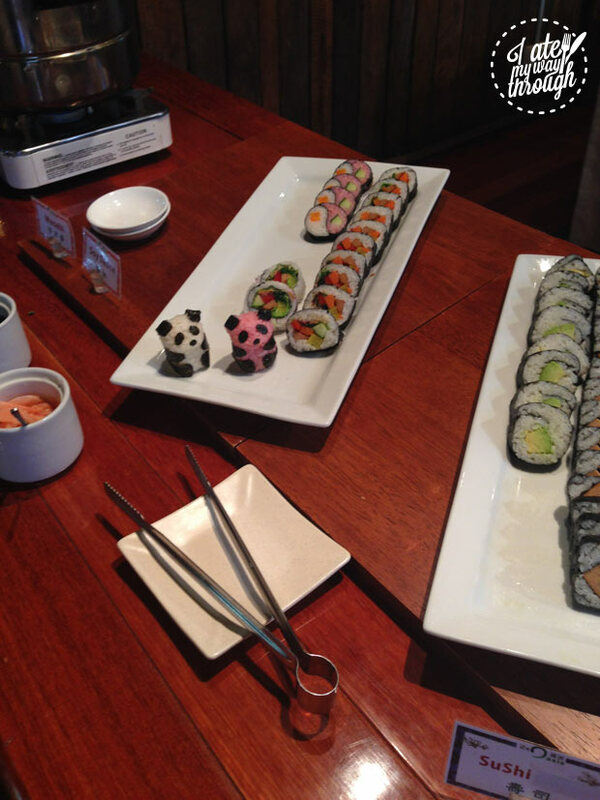 Oh, and did we mention that they have an in-house sushi train? No sashimi available, unfortunately, but really, what else do you want for a $16 lunch? Water and drinks are all self serviced, so there really wasn’t much to judge in regards to the service. It was great that there was enough staff at the counter should you need any assistance, and they all spoke a mixture of English, Mandarin and Cantonese, to cater to the crowd. Juicy Chinese BBQ cuts, also at the Star Buffet Bankstown. Only $16 for all-you-can-eat lunch! Sushi train at an all-you-can-eat buffet! ? All you can eat crackling at the @shangrilasydney #FilipinoFoodWeek buffet! So there you have it, the summation of months of research into the gluttonous world of buffets. If you have any questions or want to know any information about one of the buffets that wasn’t included in this post, feel free to leave a comment. A girl who plans her life around meal times, Grace dedicates her time to the pursuit of delicious food. Being the daughter of a Naturopath means she grew up with healthy eating in the forefront of her mind. Admittedly sacrificing flavour for health at times of weakness, she adores finding a new sugar-free dessert or gluten-free meal. When night time comes, she loves to explore Sydney’s vibrant bar scene, searching for secret nooks and crannies around the city. In her free time, you’ll always find Grace curled up with a good book, a cup of tea and her puppy Scrumpy. 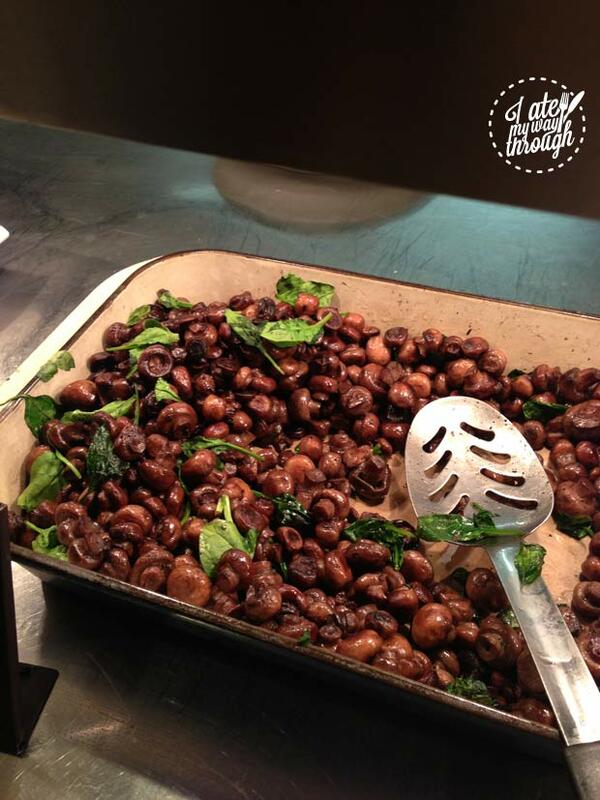 Super post – great round up of buffets! Great run down! Thank you! Completely agree about the Bankstown Star Buffet. We take the kids there all the time and always have fun and leave feeling stuffed.